What’s the Secret Behind a Wonderful Smile? Bello Dental Associates Blog What’s the Secret Behind a Wonderful Smile? We all remember Marylin Munroe, don’t we? Her amazing looks were complimented by her million-dollar smile. Now who doesn’t want a smile like hers? If you have a good set of teeth, and are willing to carry out regular maintenance, you too can show off that perfect smile. So you’ve encountered situations where you need to keep your palm on your mouth while smiling or laughing. You do that because – you have an overbite, yellow or stained teeth or you are suffering from breath issues. Not only does that indicate a low self-esteem, but it also makes the people around you aware of what you may be hiding. Well, they are already aware, you’ve just managed to keep them guessing what’s wrong about your smile. For yellow or stained teeth, the first thing you need to do is upgrade your dental hygiene. Almost all dentists recommend brushing your teeth two times every day. Find a suitable toothbrush and a toothpaste that you like and start brushing. In an extreme case, wherein you have a significant amount of plaque build-up, an immediate dentist consultation is necessary so that it can be removed before it can do further damage. You need to brush the outsides of your teeth as well as the insides. The motion of your toothbrush also plays a significant role. Up-and-Down motion is useful to get rid of stuck food particles or plaque particles in the crevices of your teeth. Circular motion tends to be an overall solution, while horizontal back and forth motion is useful for polishing (remember polishing your shoes?). You’ll know when you’ve brushed enough when you start hearing squeaking sounds from your brush. Do this in the morning, after you’ve eaten and at night (again, after you’ve eaten). In no time, your teeth will truly look ‘pearly white’! If you don’t see any difference after a few days, you might be affected with a disease. Rush to your dentist in that case. There are special whitening toothpastes to battle yellowing teeth and electric toothbrushes to set your brushing technique straight. For those of you who have crooked teeth or unusual tooth alignments, an underbite, overbite or a ‘gummy smile’, surgery may be your best option. Overbite can be treated with bracers (invisible or wire). In any case, most people recommend consulting an orthodontist instead of your regular dentist for their expertise. While any kind of surgery may be a painful experience, you get what you want in the end. Apart from this, you need to take care of the little things as they build up to cause up a major problem. It is better to reduce your sugar and fat intake. Every time you do have some junk food or any meal for that matter, wash your mouth immediately afterwards so that the bacteria are washed off as soon as possible. 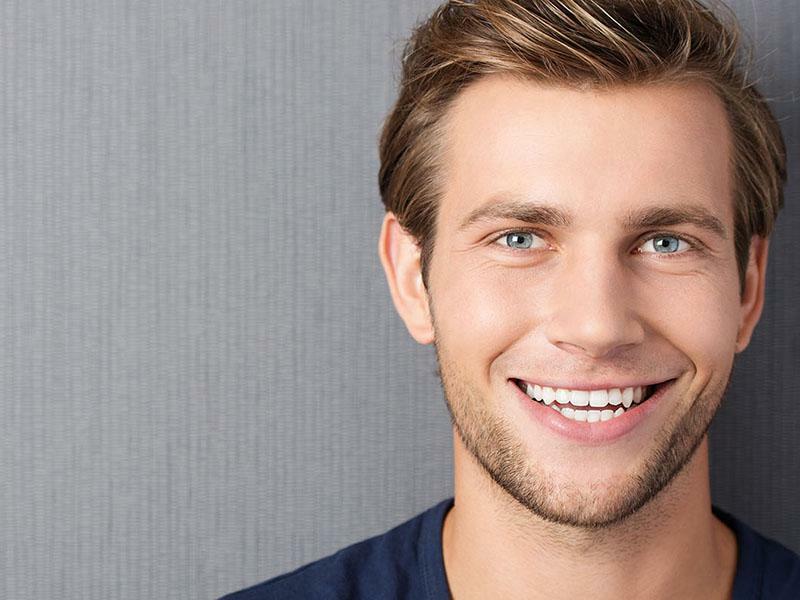 A set of white, flawless teeth will make your life much better as you will be a more confident person. Your smile is after all the best ornament you can wear.